All the men of the sleepy Mexican village of Tres Camarones have left town in search of fortune in the USA. Bandidos are threatening to take over the defenseless town. One night, 19 year old Nayeli watches “The Magnificent Seven” at the local cinema and has a flash of inspiration. She grabs her goth best friend Vampi and her gay confidant Tacho, and sets out on a quest of epic proportions – to find men in the U.S.A. and smuggle them back across the border to repopulate and protect her beloved town! And so begins a 3,500 mile road trip from the Pacific Coast of Mexico through the colorful streets of Tijuana to the climactic scene at the Bahia Hotel in Mission Bay, San Diego. SPECIAL EVENT SATURDAY NIGHT, APRIL 15! The author of the novel INTO THE BEAUTIFUL NORTH, Luis Alberto Urrea, will be in the house attending the performance beginning at 8 pm. 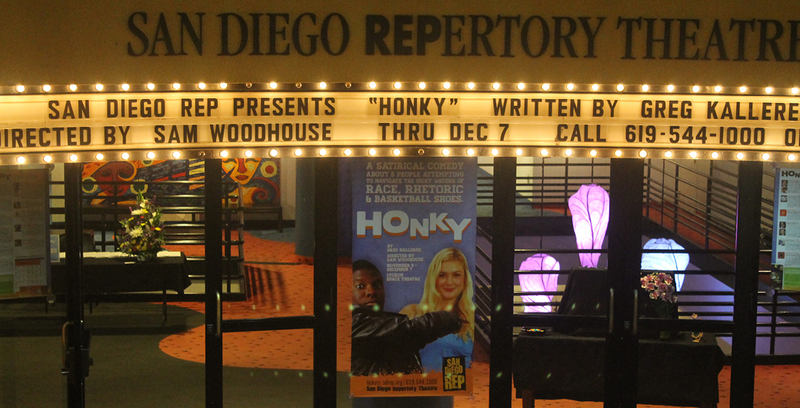 Following the performance, San Diego REP Literary Manager Danielle Ward will host a salon conversation with Urrea and the audience. 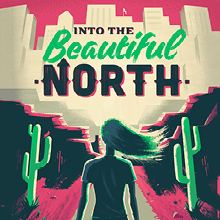 Into the Beautiful North is supported in part thanks to the generosity of the Jerry Lester Foundation, Mary Rose & Len Pellettieri and Deborah Szekely.